B U B B L E G A R M: E.L.F - Budget Beauty Buys! The all over stick looks pretty - especially pink lemonade. 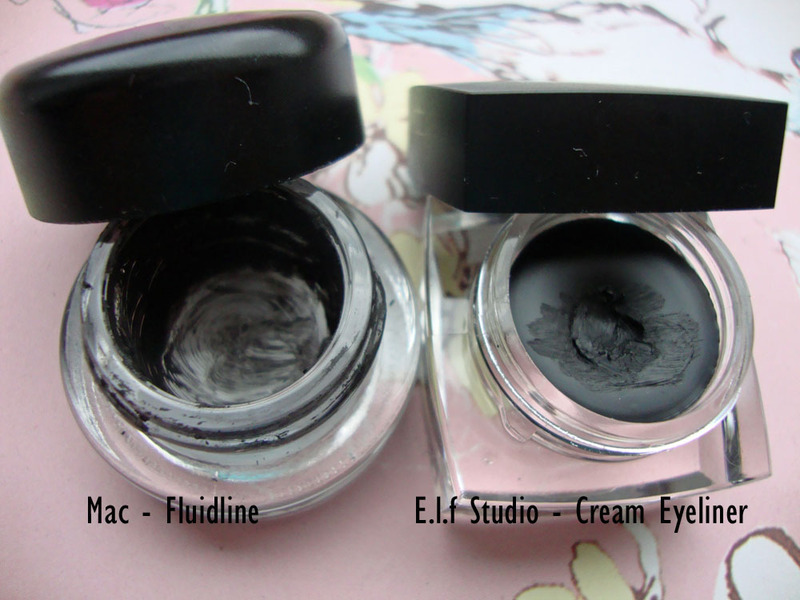 I've never ordered from ELF, but I am tempted by NYX - it's so cheap - and the products seem to be of such good quality. I'm tempted to place a HUGE online order! I haven't tried anything from elf. Some people rave about it, and others, like yourself, end up chucking it in the bin. 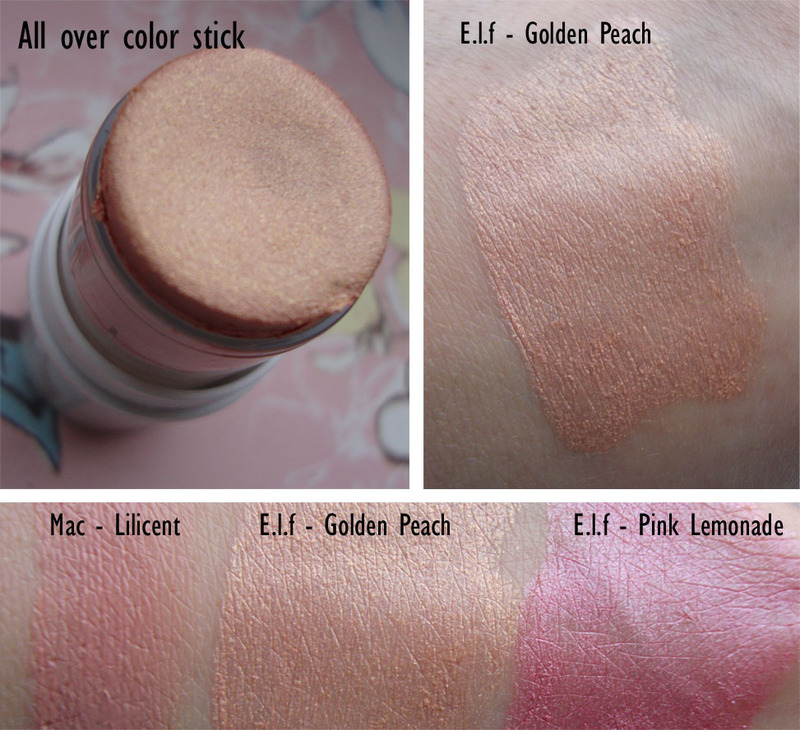 That cream stick looks lovely though, both the golden peach and pink lemonade. I might to take a peek at those. Hey doll! Would love to see how that eyeliner works. We have a fabuloussss cheapo one by Wet n' Wild here. Its I think $2.99 or something like that. Anyway its very pigmented/dark and lasts a long time! I adore it. 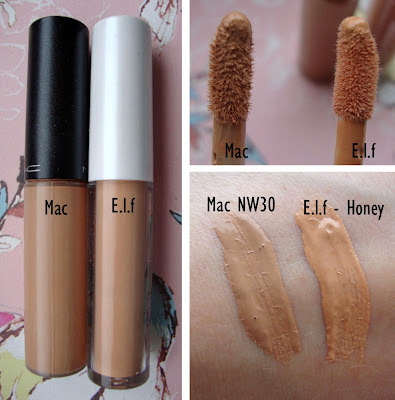 As for the cream stick, from the swatch it looks like a dupe for MAC Hush Cream Colour Base! Which was relaunched in one of the recent collections :] Im not 100 percent sure which one, but I'm thinking the same with the Peach Ombre blush. Id have to double check on that. Their powder highlighter in Luminious is very good, its a lil powdery but creates a pretty non-glittery sheen. I must say that there are only few products from elf that i love, the others are just meeeh for me. all the other stuff that I ordered are really nothing special, but I reccomend the ones I named. I've tried some ELf and though I tossed most of it in the trash bin, there are still a couple things in the Studio line I'd like to try eventually. ordered the cream eyeliner, a complexion brush, a small smudge brush and a nail polish just a few minutes ago as they are having free shipping codes right now. Do you have Wet n' Wild in the UK? If so, you should try their gel liner..it is amazing...better staying power than MAC blactrack. I am obsessed with it, and it's only $2.99. I recently purchased the gel liner and am head over heels! This product was perfect for a "virgin gel liner" like me. I'm in LOVE! I like the studio e/s in amethyst, but w/ a dark base & patting it on. The $1 all over cover stick in honey for a concealer is good too. I'm not a fan of the bronzers either. They are to ashy for me. @A Lovely Blogger Totally agree! you can't go wrong with the prices!! I have these ELF sticks in Pink Lemonade and Toasted. Toasted is definitely my favorite, I have done a post about it with a swatch. It is a gorgeous bronze color !! !